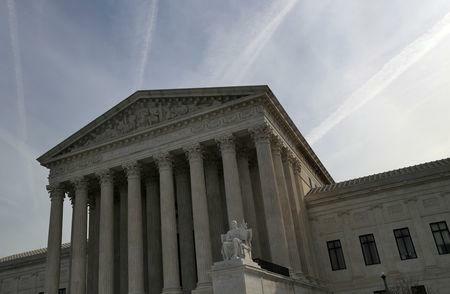 The U.S. Supreme Court in Washington, U.S.
WASHINGTON (Reuters) - The U.S. Supreme Court on Monday refused to hear a bid by an unidentified company owned by a foreign government to contest a grand jury subpoena related to Special Counsel Robert Mueller's now-completed inquiry into Russia's role in the 2016 election, though the justices' action does not force the firm to comply. A federal judge imposed a $50,000-per-day fine against the company, which had asked the justices to hear its appeal of a December appeals court ruling that upheld a judge's decision to hold it in contempt for refusing to fulfill a document request made in the subpoena. The company already could owe more than $3 million. 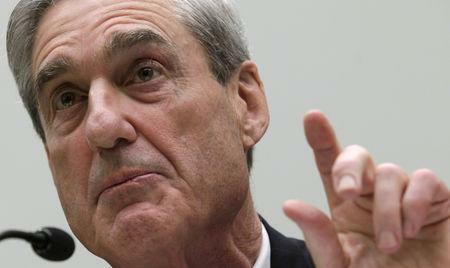 Mueller submitted a confidential final report on his findings to U.S. Attorney General William Barr on Friday. On Sunday, Barr said Mueller did not find a conspiracy between Trump's campaign and Moscow. A spokesman for Mueller's office said the case involving the subpoena will now be overseen by the U.S. Attorney's Office in Washington. The case has remained a high-profile mystery, with the Supreme Court and lower courts declining to identify the company, the country that owns it or the specific purpose of the subpoena. The company, which has a U.S. office, has said it was a witness, not a suspect, in Mueller's investigation. On behalf of Mueller's office, Solicitor General Noel Francisco, the Trump administration's top Supreme Court lawyer, had asked the justices not to take up the case, deeming the lower court rulings correct.